Sheriffs in Texas recently testified at state hearings that state troopers or DPS in border counties are overly aggressive against citizens pulled over for routine traffic stops. But the allegations are hardly confined to state troopers. So if you’re stopped, what questions must you answer? The answer, except in Arizona where police can ask you about immigration status, is theoretically simple. If you’re the driver, you must show your registration, insurance and driver’s license. If you’re just a passenger and you’re not being detained for a traffic violation, you don’t. In a wide ranging conversation focused on a recent rise in anecdotal allegations of law enforcement harassment in a relatively short time span in Presidio County, Texas. 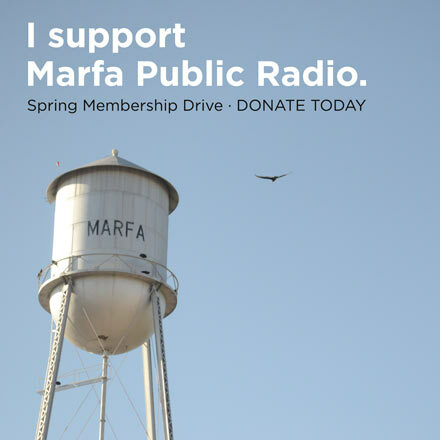 Marfa Public Radio/West Texas Public Radio asked Texas DPS Captain Luis Najera what questions his troopers are legally allowed to ask at a traffic stop. “As far as the questions that the trooper is permitted to (ask), there are really no restrictions,” he said. We asked Najera about what exactly a citizen is compelled to answer? And that’s all, he says. Najera runs DPS in five west Texas border counties in a territory that runs to the New Mexico border. DPS has not responded publicly–nor would Captain Najera–to damning testimony April 7, 2014 from sheriffs at the Texas Capitol in Austin. 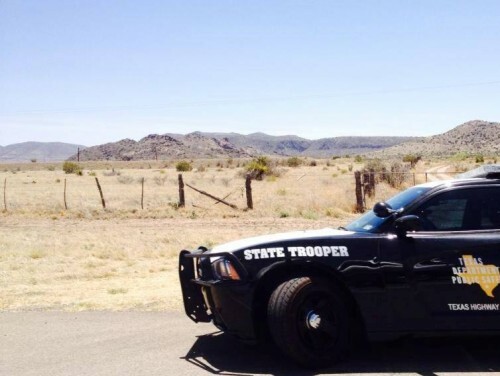 Then, the Texas Border Sheriffs Coalition, a state-funded non-profit representing local law enforcement in 20 Texas borderland counties said state police tactics are fraying nerves among borderland citizens. Zavala County Sheriff Eusevio Salinas summed it up for his delegation. Bosworth says he declined to give the trooper an ID. “ “I said, ‘I don’t have to give you my ID. I’m not, ya’ know, I’ve done nothing wrong and I’m a passenger in this vehicle,’ “ he explained. He and his wife, Buck Johnston, were returning from a hospital where Bosworth was treated for an eye injury. Both say they were asked questions that offended them. Johnston recalled a set of questions that she maintains the trooper asked she and her husband. Bosworth said he’s saddened by what he believes is the response by the majority of people pulled over in traffic stops. He believes too many drivers and passengers are intimidated to the point they ignore their Fourth Amendment protection against unreasonable search-and-seizure. Although Bosworth and Johnston say the trooper was adamant that they’d been driving in a passing lane, she let them go. But to focus on state troopers exclusively isn’t fair. Sheriffs and police sometimes use the same approach. Karen Crenshaw, a 51-year-old who’d just moved to west Texas, says she was stopped for not coming to a complete stop at the sole traffic light in rural Marfa, Texas. “I’ve always had a great respect for law enforcement. And I’ve never felt nervous or upset when they pull me over,” she said. Crenshaw says it was around 11 at night in late April and that two deputies gave her a written warning after a line of questioning that she believes wasn’t relevant. Constitutional law professor Meg Penrose at Texas A & M Law School says that kind of questioning–beyond the scope of the traffic offense–is itself a violation. That’s not the case at U.S. Border Patrol checkpoints. Penrose says that agents have the legal right to determine immigration status. But you do not have to answer any questions. If an agent suspects you are in the United States illegally, you can be detained. But refusing to answer questions there does not legally constitute probable cause. Things are different in Arizona. There the Department of Justice told the state in May that it won’t challenge Arizona’s so-called “show-me-your-papers” provision. That follows a U.S. Supreme Court decision sustaining the provision, while at the same time allowing for future challenges to it. That provision is now under challenge in a class-action lawsuit. That means that in Arizona, officers can still stop you and ask you to show you’re in the country legally. This entry was posted in KRTS News and tagged Border Sheriffs, Border Surge, Fronteras Desk, Law Enforcement, Texas DPS, Texas State Troopers. Bookmark the permalink.